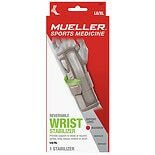 Brace your wrist when you've got an injury, strain, sprain and even carpal tunnel syndrome with sports wrist supports. Wrist supports can stabilize your wrist and keep it in a neutral position. Some sports wrist supports include splints or stays to improve the rigidness of the brace. 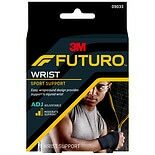 Shop Walgreens.com for sports wrist braces from brands such as OTC Professional Orthopaedic, Champion and Futuro. There are different styles of wrist braces to choose from. Elastic wrist supports offer lighter support and more structured sports wrist supports can provide more stabilization. 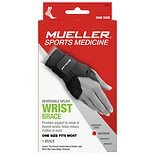 You can also find wrist braces that offer compression to help retain heat, improve circulation and encourage healing. There are athletic wrist braces in different sizes for a comfortable fit and you can find latex-free braces to minimize allergic reaction. 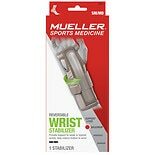 We carry products that can help if your hands are sore from arthritis or you have a thumb injury. Arthritis gloves are designed to provide 24-hour relief, while thumb stabilizers act to limit the movement of weak, arthritic or injured thumbs. Hand braces for arthritis are designed to relieve symptoms such as swelling, while gloves for arthritis can help warm your hands.